July | 2015 | The Fantastic Flame On! We want your help, and there’s just a few hours left to give it! The UK Podcast Directory is running the first UK Podcasters Awards, to be awarded at New Media Europe in September. We’re up for nomination in the ‘Games and Hobbies’ category, and we would really like your help to get us nominated. We want your help, and there’s just 3 days left to give it! 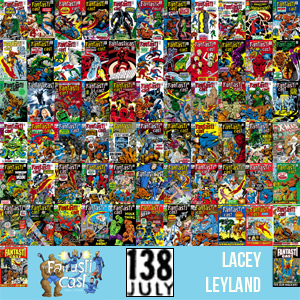 Simply head over the The Fantasticast’s page at the UK Podcast Directory, and click the ‘nominate’ button. You’ll need to provide an e-mail address, or verify yourself via Facebook or Google. The really cool thing is that you can nominate once per day between now and the closing date, which is the end of July. We’d love the opportunity to stand amongst our peers, and who knows, we might even do well out of it! Please do head over and vote for us. Then come back tomorrow and vote again. And again on Friday! We want your help, and there’s just 5 days left to give it! We’d love the opportunity to stand amongst our peers, and who knows, we might even do well out of it! Please do head over and vote for us. Then come back tomorrow and vote again. And again. And again! Because It’s About Time Someone Did Again! 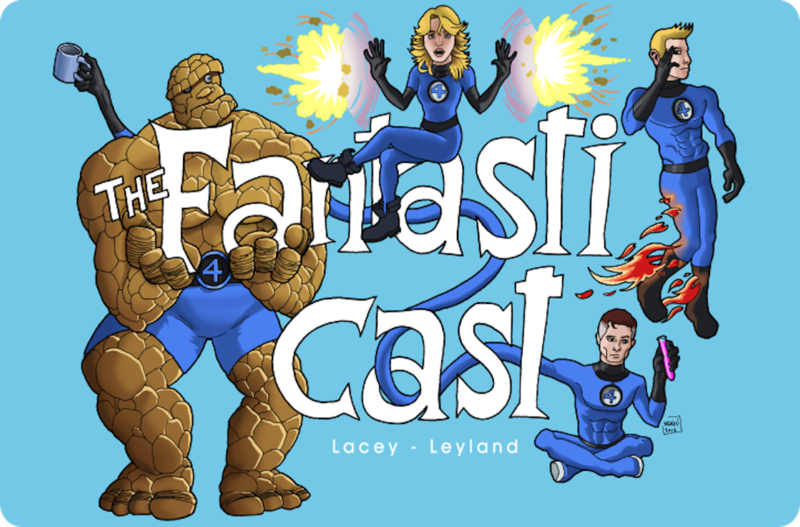 We’re taking a break from our usual format this week to take a look back, in the second of three special episodes to celebrate the release of the new Fantastic Four movie. In the style of the rather wonderful Rachel and Miles X-Plain The X-Men, we’re taking look back at issues 52-120 and annuals 4-6 of The Fantastic Four. Featuring podcaster and friend-of-the-show Michael Bailey as ‘Digits’ – check out his shows From Crisis To Crisis: A Superman Podcast and Views From The Longbox! We’re currently recording episodes covering Fantastic Four comics from 1972. 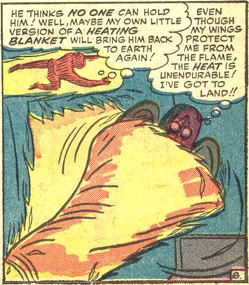 Strange Tales is long-gone, and despite the wildly inconsistent quality of Stan Lee’s writing during his brief return to the title, a lot of the tropes from the early days of the Fantastic Four are no longer relevant. 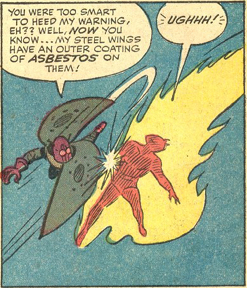 Whilst I may miss the ridiculous usage of asbestos, I really don’t miss the implausible uses of Johnny’s powers. It was a bit hard to work out where this one was going. The Beetle decides to defend himself against the Thing’s wall-based attack by picking up a pot of hot soup, which was casually simmering away, and hurling it at Ben. Johnny decides to step in and, instead of evaporating the soup with his flame, he instead chooses to absorb the heat from the water, making it cold. It’s an unusual choice, and depicted poorly by Burgos. Is that soup, or is it lava? Is it heading for Johnny, to extinguish his flame, or to Ben, to presumably burn him? 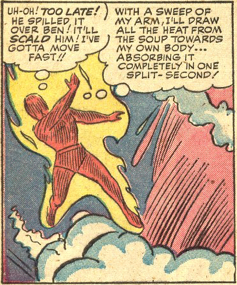 Either way, battling against a vat of Campbell’s Condensed hardly makes for one of the most riveting Human Torch battles.